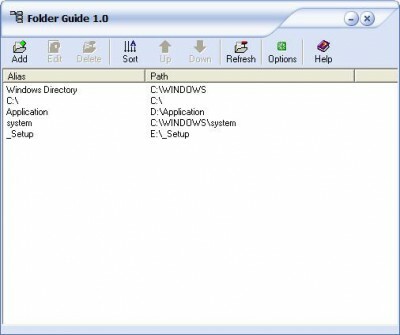 Folder Guide 1.1 is shell tools software developed by Freeware365.com. Folder Guide is a free handy utility that provides fast access to your frequently used and favorite folders with a single click. After quick install it will appear in context menus of Windows Explorer and Open/Save dialogs as "Folder Guide" item. It also works from the desktop, the Start button. With Folder Guide, you no longer need dozens of mouse clicks to navigate to your desired folder. This shell tools software is freeware, which means you can download and use Folder Guide 1.1 absolutely free. There's no need to buy the product. 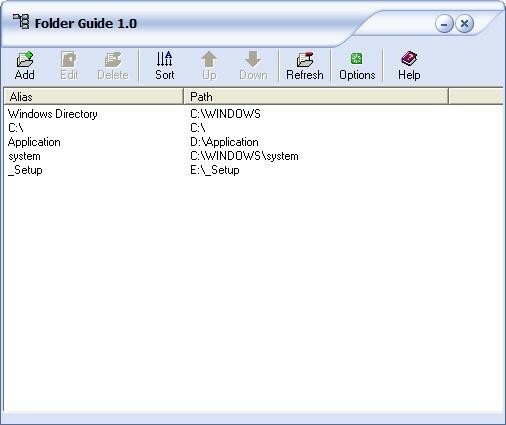 Folder Guide 1.1 supports English interface languages and works with Windows 98/XP/Vista. We have tested Folder Guide 1.1 for spyware and adware modules. The software is absolutely safe to install. Our website has thoroughly tested system utilities product Folder Guide 1.1, written the review and uploaded installation file (752K) to our fast server. Downloading Folder Guide 1.1 will take several seconds if you use fast ADSL connection.